November 22 – Customers who shop at sprint.com/holiday or who call 1-800-Sprint1 can get the Galaxy SIII (16GB) for $49.99, or the Galaxy Nexus or Galaxy Victory for free (with 2-year agreement). 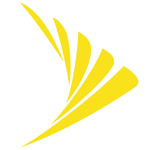 November 23 – Customers shopping at "select Sprint retail stores," shopping online, or calling the number above can get the Galaxy SIII for $49.99 (after getting a $50 mail-in-rebate card), and can still get the Galaxy Nexus or Galaxy Victory for free. 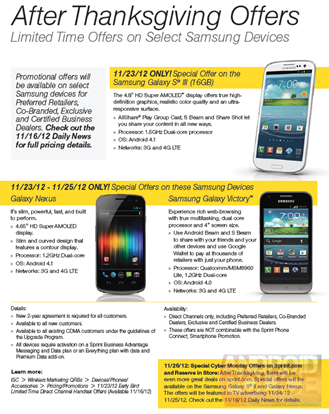 November 24-25 – Sprint retail stores will offer the Galaxy Nexus and Galaxy Victory free (after getting a $50 mail-in-rebate card). So there you have it. 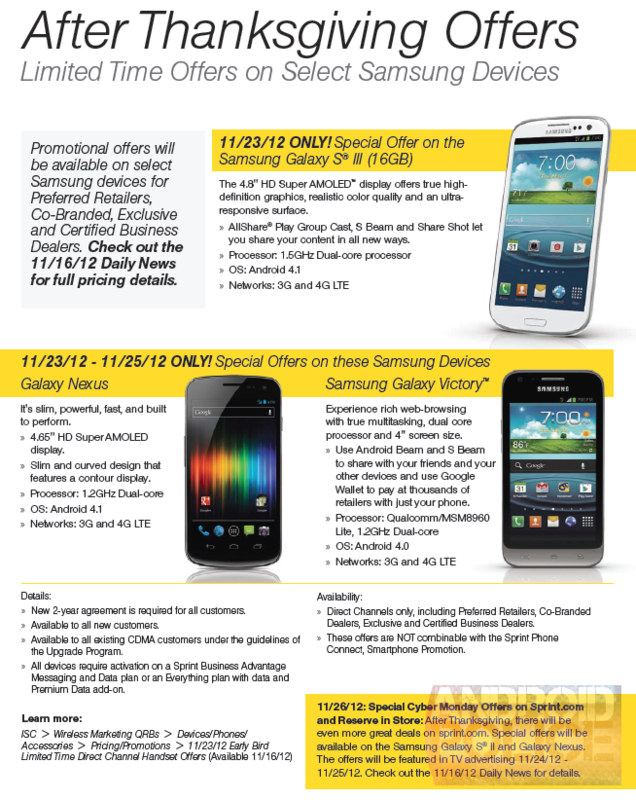 If you've been holding out on the Galaxy SIII ( or Nexus or Victory), you'll have a shot at some great discounts during Sprint's don't-call-it-Black-Friday sale. Hit the link below for the full press release.